Today the school council helped Mrs Davies to show the rest of the school what we did on our school council exchange. We were able to share all our photos and explain how everyone in the school can do their bit to help reduce the amount of plastic that ends up in our landfill sites. Today we met at Mark First school. We recapped on what our school council's had been able to achieve last year. We had made posters to remind people about road safety and had written letters to our MP. This year we wanted to think about our school community and how we could help the environment. We took part in three workshops making posters, creating some art by weaving plastic and started making our own Ecobriks. We are now going to lead a collective worship to tell the rest of the school about our exchange and how we are going to continue our focus on the environment back in school. We hope to have another exchange in the Summer term. We met today to discuss playground games. We wanted to be able to share our playground with everyone and not to have one type of game dominate the space. We talked about how we could still play popular games like football by staying safe when kicking the ball. We discussed the option of having football monitors or timers to ensure everyone was able to enjoy their break-time. It was agreed that the situation would be reviewed after the Christmas holidays at our next meeting. We held our first school council meeting of the year. Everyone was keen to discuss their ideas for the year. Our first project we are going to work on is Road Safety and how we can make the roads surrounding our school safer for the whole community. We discussed the difficulties with changing pavements and roads but looked at ways we could help to develop a safer environment especially as we enter the winter months. The school council decided that they will come up with some poster ideas before our next meeting and we will look to put these together to create a poster for our school. Our new school council has now been elected. The school council helped Mrs Davies deliver collective worship today on our theme of Empathy. We used the character from Go-Givers, Mitali, to help give suggestions of what he might have been feeling and how we might be able to help him. A fantastic team effort. Thank you school council. School council met today to discuss our school theme of Empathy. We discussed what this statement might mean. The children were able to give examples of situations that they have found themselves in and how they have or might deal with them. All the school council children are going to help with our school collective worship tomorrow. The full council met today as Mrs Robertson had received some news. After writing to Mr James Heappey to let him know about the roads around our school, the school council had received a personal letter from him. Mr Heappey said that he was keen to be of any assistance he could be. Mr Heappey also indicated that he would be very interested in coming to our school to meet and speak to the school councilors. We also spoke about how this linked to our current theme of making a difference. By all of us doing something small we can make a difference. The school council will be meeting very soon to draft a reply and to invite Mr Heappey to visit our school and show him the roads surrounding it. School councilors to help lead Collective Worship with Mrs Davies on Wednesday 7th February to tell the rest of the school the exciting news. When we go swimming a car might not stop or they might be on their phone. It was commented that last Thursday it was busy when they came back from swimming and all the adults were coming to school. Mornings are really busy as mums drive right up instead of using the cemetery. It was suggested that there was a need for a sign warning drivers of the school and a suggested speed limit of 5-10mph. The children also commented about the need for lights as it is dark when they leave clubs or wrap around care. Ruby and Toby agreed to help with any letter writing required. On Friday 10th November our school council met to begin to think about our aims for the year. We talked about some of the things that the children would like to look to purchase for play-times such as new skipping ropes and hoop balls. Linked to our school theme of 'Team work' we also spoke about what we could do for others. A company has very kindly given us some new pieces to replace missing parts of some our games. The children thought it would be a good idea to donate something to the companies chosen charity to show their appreciation. We also spoke about our Children in Need event that is coming up. The children spoke about where they thought the money that they raise might go and how it might be able to help children that were sick. We have all taken part in electing our School council. We listened to each of the manifestos and decided who we would like to represent us. We talked about our British Value of Democracy. We voted for 2 people from each year to represent us for this year. The results will be announced on Friday in Celebration assembly and the school council representatives will be presented with their school council badges. 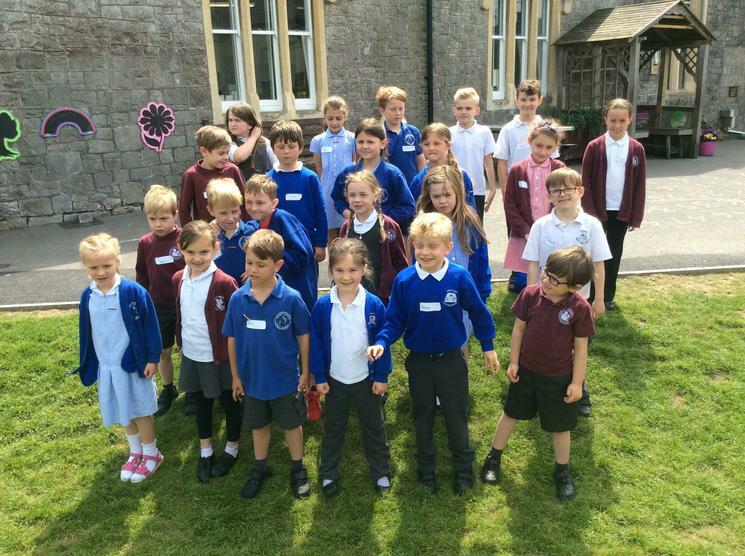 Two children from each year group will represent their year group on the School Council. We will be holding our first meeting of the year so get your suggestions in to your School Council representative so that they can consider your ideas. We look forward to seeing what new things we can do this year to make our school even better. Last year we were able to buy new balls to enhance our playtimes, designed and bought the buddy bench and chose how we wanted to spend our Sainsbury's active vouchers to buy more sports equipment. 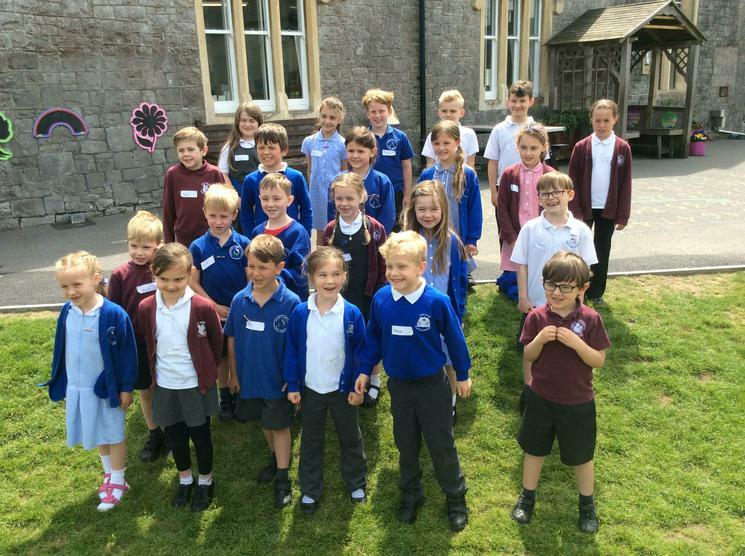 The school council was elected in September 2016. Following the children’s manifestos each year group voted for who they want to represent their year group. Mrs Robertson informed school council they would have a budget of £100 to spend for this year. After the elections had taken place the school was formed. The whole school was involved in putting forward their ideas to the school council about what they would like to see in our school.